information on monitor calibration to show accurate colors. Did you know that you can frame your own canvas simply by selecting “Matboard Mounted Canvas” as your mounting style? 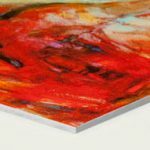 Our professionals will take your giclee printed canvas and adhere it to matboard using archival grade adhesives, producing a rigid, durable canvas print which is Ready-To-Frame the instant it arrives. If you own a digital camera, the answer is simple. 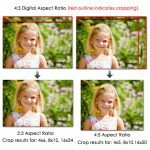 Most digital cameras use a 4:3 aspect ratio, whereas print-shops and print labs still adhere to the old 35mm aspect ratio of 3:2. Did you know Photoshop allows you to setup your print size and gives you the complete control over an image composition? A lot of times people try to print an image only to discover the dimensions they choose to print did not quite match the dimensions of the image they are using. Frames have always been in style. After all, frames accentuate our most prized photographs and our most coveted wall art. They serve as accessories inside our home as well, and are excellent outlets for those seeking a non-intrusive way to personalize their own space. 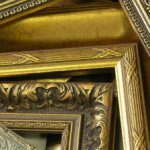 Frames preserve our age-old family portraits and protect our favorite art prints from the elements. Recently, we discussed the pros of using flatbed scanners to create digital image files of your artwork. But because artwork (and photograph) sizes don’t always conform to the limits of the traditional desktop scanner, today we are going to learn how to use the photomurge tool in Adobe Photoshop. You can get stunning photo prints when you follow a few pointers relating to photography techniques. 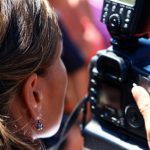 From holiday snapshots to professional portraits, apply these tips for better quality images.